To understand why we test on animals, we need to take a journey back in time to when it all began. Only then can we see how it’s outdated, cruel and not not needed. The history of animal testing can be traced back to Ancient Greece where many physicians and scientists at the time dissected pigs and goats. The aim of these dissections was to try and learn more about certain animals and the differences between them and us. As time went on, other physicians and scientists around the world also followed suit and started to practice surgical procedures on animals before attempting them on humans. This served as a kind of “practice run” before doing the real thing. Remember, they didn’t have any dummies or computer simulations back then! 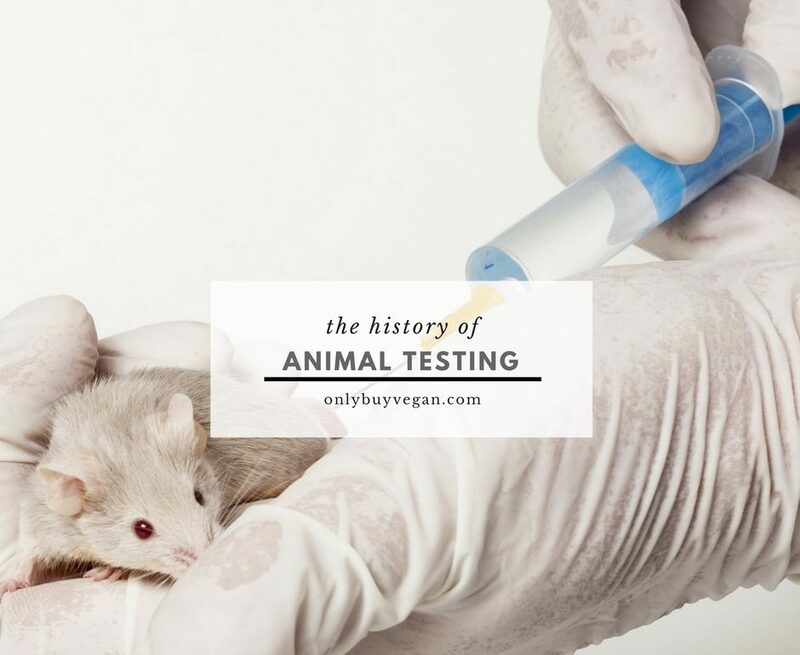 As the decades went by, animal testing started to become more and popular in all areas of the world. No longer was animal testing used to practice surgical operations, but instead it shifted to the pharmaceutical and cosmetic industry. Many countries around the world, such as China, even went as far as saying all cosmetics must be tested on animals before they are sold. Not only was this unnecessary as the individual ingredients and chemicals had already been tested prior to use, but it was also ineffective. Not all animals have the same reactions to chemicals as humans. This means all that testing and torture on innocent animals was pretty much going to waste. Cosmetic products could still get through the regulations that were in fact, “dangerous”. So how has the history of animal testing influenced testing today? As animal testing became more and more popular throughout the decades, some people could see it was already a bad thing. With the numbers increasing year on year, a few smart people knew something had to be done. In order to slow down the increasing number of animal experiments, some sort of guidelines has to be made to education other scientists and governments. Described by W. M. S. Russell and R. L. Burch in 1959, the three R’s are: Reduction Refinement and Replacement. These R’s not only aim to encourage alternatives to animal testing, but they also promote improved animal welfare and scientific quality where the use of animals cannot be avoided. In many countries around the world today the 3R’s are part of legal legislation. As you can see, the history of animal testing has had a huge influence on how animals are tested today. When it first began there were no regulations, record keeping, or ethics. In fact, most people were doing it themselves in their houses. Nowadays there has been significant effort put into reducing animal testing and only experimenting when necessary. Although animal testing still happens today, as technology continues to improve and new techniques are developed, eventually there will be no need for testing on animals.